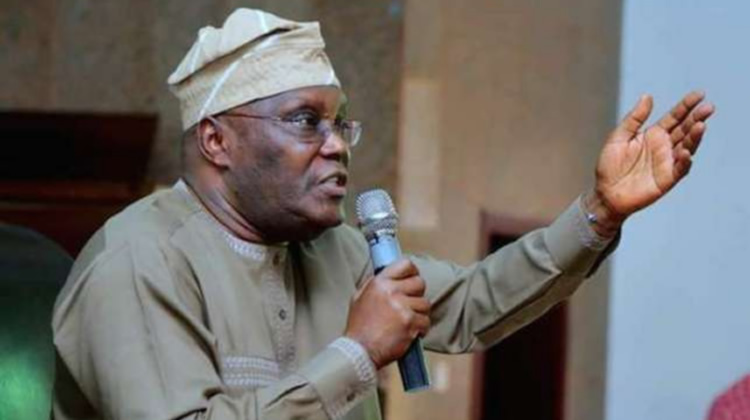 Atiku Abubakar, the Presidential candidate of the Peoples Democratic Party (PDP), has the right to challenge the victory of President Muhammadu Buhari in the 2019 presidential election in court, the Federal Government said. He called on the former Vice-President to allow the court to determine the merits or otherwise of his petition against the candidate of the All Progressives Congress in the election and said it was wrong for Atiku to resort to self-help in his desire to claim victory in the election. The government said Atiku should know that losing an election should not be seen as the end of the world. Mohammed, who was flanked at the briefing by Mallam Garba Shehu the Senior Special Assistant on Media and Publicity to the President, said the posters and the alleged hiring of the US lobbyists, had triggered questions about what Alhaji Abubakar was up to. He said, “Is he starting a fresh campaign after the elections have been won and lost? Has he rescinded his decision to challenge the results of the presidential election in court, perhaps after realising that the results he claimed to have obtained from the INEC server are cooked? Is he now going for self-help? What really is Atiku’s motive? “We are aware of media reports that the PDP presidential candidate on Wednesday distanced himself from the posters that are circulating in Abuja. He also reportedly denied hiring the US lobbyists, claiming tongue-in-cheek that the APC fabricated the report. “If the media reports are right, it means that the former Vice-President has suddenly realised the grave implication of his actions, hence has decided to beat a quick retreat before it is too late. “As a self-avowed democrat, he should realise that the only lawful channel for challenging the result of an election is through the courts. Resorting to self-help, as he seems to be doing now, is an act of desperation and the consequences are dire. “Alhaji Atiku Abubakar has the right to do whatever is lawful to challenge the outcome of that election. But he cannot get through the back door what he couldn’t get through the front door. That will be a pipe dream.” Mohammed, after all, said that there was no doubt that Atiku was equally thinking of replicating the Venezuela’s model in the country. He said, “There is no doubt that the PDP presidential candidate, out of desperation, is thinking of replicating the Venezuelan model right here in Nigeria. But he should realise that Nigeria is not Venezuela, and that the situations in both countries are not the same. “President Muhammadu Buhari won the February 23, 2019 presidential election fair and square, with a margin of 3,928,869 million votes.The election’s credibility was attested to by local and foreign observers. APC, Presidency plotting to set up Atiku, says PDP. On Thursday, the National Working Committee of the PDP accused the APC and the Presidency of engaging in plots to set up Atiku. Mr Kola Ologbondiyan, the PDP National Publicity Secretary, in a statement stated that no amount of fabrications, attempt at set-up as well as veiled and open threats allegedly by the APC-led Federal Government would stop Atiku from reclaiming his mandate at the tribunal.